Matching a dynamic tonal range with outstanding balance and design, this SPECTOR can be heard in just about every genre of music. The Europe Series version of the powerhouse USA Series NS-5XL, with EMG Pickups and Tonepump electronics, this bass is a force to be reckoned with. As played by Mike Rodden (HInder), the five-string reimaginig of the USA NS-5 is for those looking for a nuanced yet powerful sound. Spector have been making bass guitars for famous artists since 1977. Since then Stuart Spector's select team of designers has grown in stature, often in close collaboration with many world-famous performers. Gene Simmons (KISS) commissioned several Brooklyn Era SB-1\'99 basses from Stuart in the late 1970's. Some of the modifications included a special gloss black paint job with white binding along the sides of the body. Stuart shaved down the normally bulbous horns of the SB-1 into points. In 1982 Sting favoured Spector's NS-2, and relyed upon it while out on the Police's Synchronicity Tour. 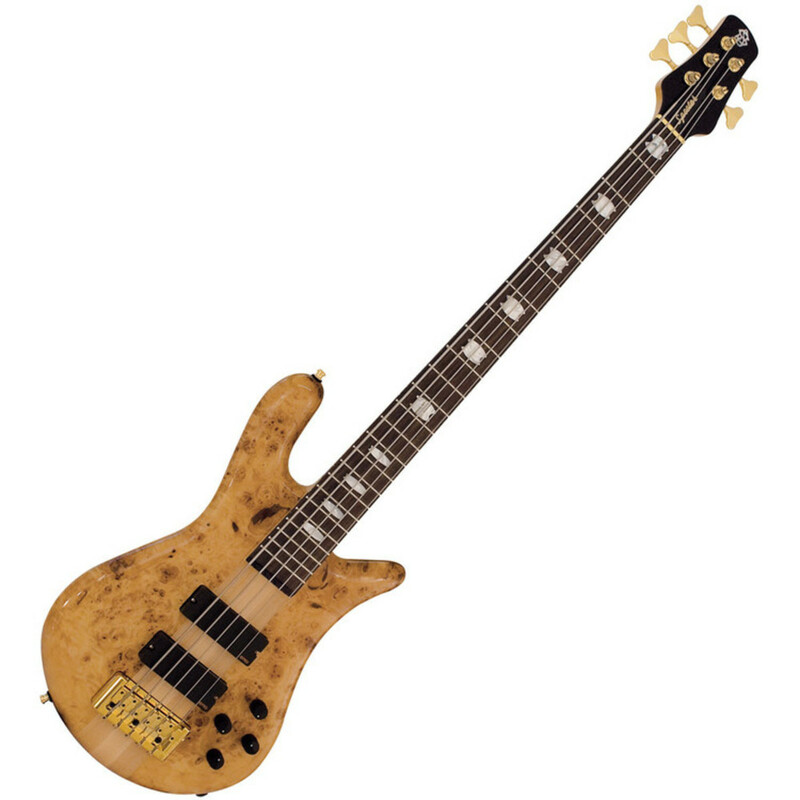 The NS-2 was also the weapon of choice for Jack Bruce (Cream), who favoured the instrument during his 80s solo career. String Spacing (At Bridge): 0.66"